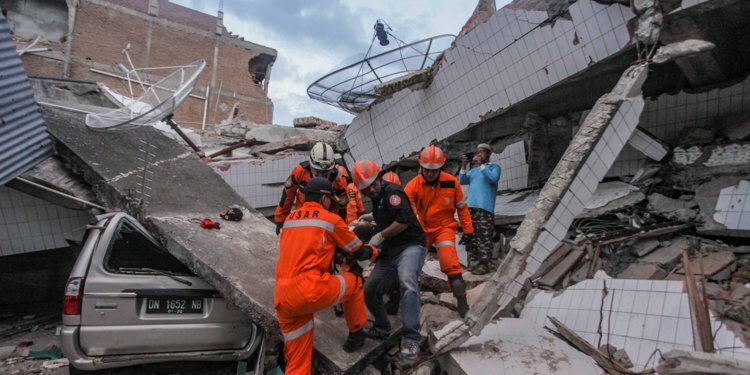 Effort have been made to aid the living and recover the dead, while the Central Sulawesi local government has declared a 14-day state of emergency. The 7.5 magnitude earthquake hit along the coastal of Donggala on Friday and caused at least 1,200 deaths and hurt tens of thousands more. Most of the people who lost their lives lived in Palu, while many other areas hit by the disaster have yet to be assessed for damage and deaths. It has been announced that up to 1.6 million people may have been affected by the earthquake and tsunami altogether. Unfortunately, the country has also suffered a series of aftershocks, as we learned from the United States Geological Survey. Several jolts (a few as strong as 6.0-magnitude) hit Sumba, an island located hundreds of miles away from Sulawesi, on Monday. More than 60,000 Indonesians have been displaced by the quake and tsunami. The National Disaster Mitigation Agency is working hard to assist the displaced with shelter, food and any other aid. Relief coordination posts will be placed soon in Palu, Donggala, Sigi and Parigi Mouton. The agency has also set aside the equivalent of $37.6 million in relief funds and declared a state of emergency.